Born into the world of fashion, Jill Stuart launched her debut collection of handbags and jewelry at an early age of 15. The Jill Stuart Collection began in 1993 and with her confidence, persistence and aggressiveness, Jill Stuart successfully built her brand amongst the top, worldwide labels. Jill Stuart made a splash in a variety of styles including sporty, flirty and sensual wear but eventually topped on cute and sugary "girly-wear”. Dresses embroidered with blossoms often demonstrate her signature cuteness. Since 2000, rapid expansion of peripheral products such as watches, fragrances and skincare products further popularized the brand. 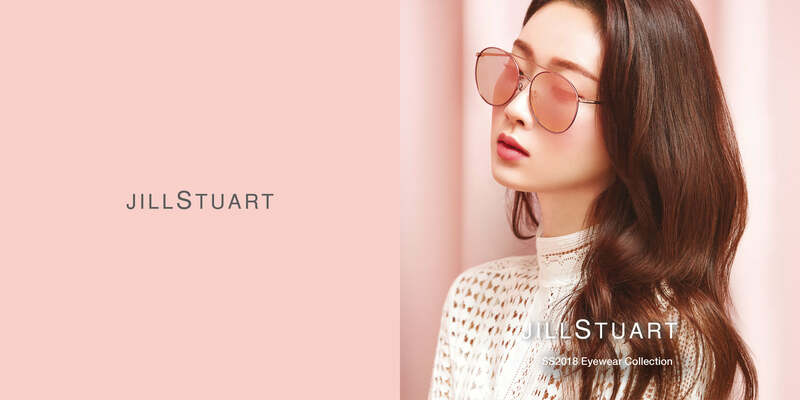 Jill Stuart Eyewear Collection is a perfect elaboration of girlish glamour that brims with a touch of sexiness. The cute, feminine and angelic eyewear designs flawlessly complement Jill Stuart’s signature elements in fashion wear. The brand is continuously gaining popularity and is sought after by the young generation of celebrities. Jill Stuart continues to be a unique brand which captures young girls at heart.